With 1,790 km of coastline, Sri Lanka is virtually synonymous with surf, sand and sunny days on the beach. 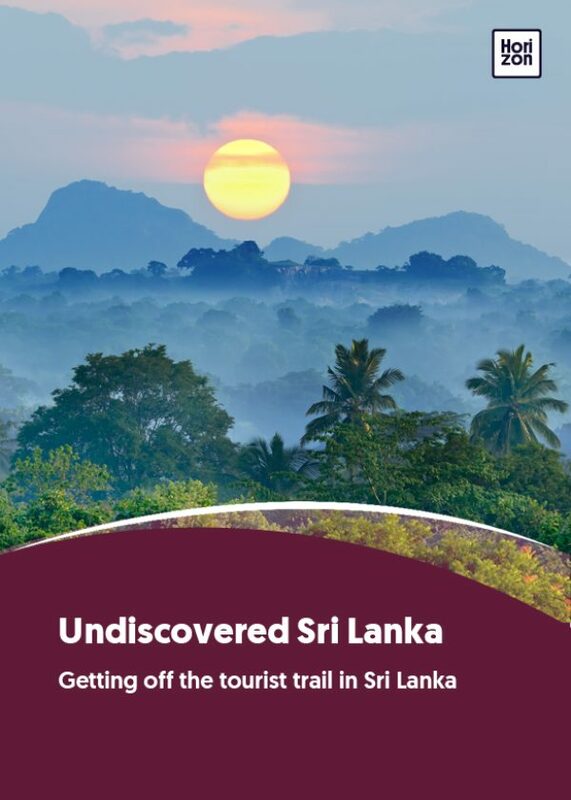 If your idea of a perfect holiday is to snorkel, surf the waves or simply while away lazy afternoons under a giant umbrella, in Sri Lanka you’re spoiled for choice. There are the postcard-perfect beaches of the southern coast with cerulean waters and powdery sand. There is surf-friendly Arugam Bay in the south-east, considered one of the top surfing spots in the world. And there are the deserted beaches of the country’s once war-torn north, where mass tourism remains blissfully absent. But it’s not all an unbroken paradise. With a slew of resorts and hotels clamouring for a piece of the prized coastline, many beaches on the southern and eastern coasts are overcrowded, packed with lousy hotels, and littered with trash. The frenetic pace of development and haphazard reconstruction after the 2004 Indian Ocean tsunami has further contributed to coastal erosion. Many of the beaches that are most easily accessible from Colombo – like Negombo in the west and Bentota in the south – are congested with cookie cutter resorts which are best avoided if you’d rather not spend your holiday queuing at a hotel buffet. Rampant commercialism and overdevelopment have ruined popular beaches elsewhere, such as Mount Lavinia, south of Colombo, and Hikkaduwa on the southern coast. And although Unawatuna and Mirissa, the best-known of Sri Lanka’s southern beaches, are undeniably charming, they’re much more enjoyable in off-season. But Sri Lanka still has plenty of picturesque beaches and coastlines that have been spared the disruption of mass tourism. Only just opening up to outsiders after decades of civil war, the beaches surrounding Jaffna, at the northernmost tip of the country, are superb, isolated – and, at least for now, refreshingly non-commercial. Named after a grove of casuarina trees that border the shore, Casuarina is the best known of these beaches. With placid waters and a sandy stretch devoid of people, especially on weekdays, Casuarina makes for a perfect day trip from Jaffna. There are changing facilities, toilets and a few kiosks on the beach, but it would be advisable to bring your own picnic basket. There are hardly any hotels or guest houses in the area, so Jaffna might be your best bet for accommodation. Casuarina is about 20 km from Jaffna on the island of Karaitivu, which is connected to the mainland by a causeway. You can get there with a rental car or local bus from Jaffna; alternatively, a quality tour operator will be able to help with transport. Jaffna is easily reached from Colombo by road or train (it’s an approximately six-hour trip). The best time to visit is between May and September. Despite its greater popularity, there are still plenty of unspoilt beaches on the southern coast. Most people don’t bother making the trek to Tangalle, which means that the beaches in and around this coastal town are among the most pristine you will find down south. Beaches between the towns of Galle and Tangalle are generally long, wide and sandy. A few beaches of note include Kabalana, Mawella and Hiriketiya. A 10-minute tuk-tuk ride from Tangalle, Goyambokka beach boasts clean sands bordered by the country’s signature coconut palms, clean waters and an unhurried vibe. Large hotels are still few and far between in these parts, but a number of restaurants along the beach offer fresh seafood, beer and thambili or king coconut water. Closer than Tangalle but almost as untouched, Talalla is another beach worth visiting. A long, crescent-shaped beach partially hidden from view by a thicket of shrubby trees, Talalla is clean – if underdeveloped – and ideal for an offbeat holiday. A few shacks on the beach offer refreshments and you can also rent beach beds for a small fee. The currents here can be quite rough, so it is best to check conditions beforehand. Talalla is just over three hours from Colombo by car via the Southern Expressway, while Tangalle takes half an hour longer. The ideal time to visit both these beaches is between December and April. For snorkeling and diving, there are few better locations than Pigeon Island National Park, just off the coast of Trincomalee, a popular beach town on the east coast of the island. One of two national marine parks in the country, Pigeon Island is surrounded by shallow waters and an abundance of marine life, including corals, shoals of colourful fish, and even the odd sea turtle. The beach itself is narrow in parts and can get crowded at weekends and holidays with visitors who make the 1 km boat trip from Trinco (as it is fondly known). A number of private scuba operators along the Nilaveli beach in Trinco organise round trips to Pigeon Island throughout the day. The Nilaveli Private Boat Service, run by an association of local boat owners, also organises round trips at a fixed rate of LKR (Sri Lanka rupee) 2,000 ($13). You can also rent snorkeling gear for a small fee. Entry tickets to the park cost $10 per person and $8 for a group, and are available at the Pigeon Island ticket office on Nilaveli beach. Pigeon Island can get very crowded in the peak season, between May and September, so make sure you book a boat in advance. On the remote south-eastern coast of the island, Arugam Bay is the last word when it comes to surfing in Sri Lanka. Counted among the top surfing destinations in the world, “A-Bay” boasts large swells that wash up to its shore from Antarctica and a number of right-hand breaks that are suitable for beginners as well as more advanced surfers. About 30 km from Kumana National Park is the country’s top bird sanctuary, Arugam Bay. The natural beauty here is stunning. Tucked away in a distant part of the island, A-Bay is a seven or eight-hour drive by car or an overnight ride by luxury bus from Colombo. Not yet as developed as the southern coast, A-Bay has just a handful of hotels. The best time to visit is between May and November. Hiriketiya, a horseshoe-shaped bay just 10 minutes from the town of Dickwella along the south coast, is a great testing ground for novice surfers. Regarded as one of the country’s most picturesque beaches, Hiriketiya is shrouded from view by a coconut grove. It has a year-round surf break that makes it ideal for those learning to ride the waves. The beach has a few shacks selling fresh juices and renting beach beds. Visit between December and April.